Next to “recruiting” volunteers, training is perhaps one of the most challenging elements of leading in Children’s Ministry. But our real job is to equip God’s people to do the work of ministry (Ephesians 4:12; see this post for more). This can serve as a key vision-casting and team-building event – very important pieces to training which are often overlooked. I always try and get my Senior or Executive Pastor to at least make an appearance. Monthly or quarterly events designed to include the bigger picture elements, but getting more specific to training for specific tasks and skills. This might be larger group (ie. all of the elementary team), or more targeted groups (ie. the 1st grade team). Regardless of your church size, when you begin equipping others to equip others, you will not only multiply the training that gets done, but in doing so you lessen the burden on everyone. Train others to train their teams, or to become general Children’s Ministry trainers with you. You might also focus on specifics – for example, if you have a great story-teller, have them train all age level teachers to tell great stories. Apprenticeships are, perhaps, the most effective method of training. Simply have new volunteers work under more experienced leaders to learn how to do what needs to be done. This can be informal, but the more formal and intentional you get, the better. Hallway conversations can be some of the best ways to train because they are short and focused (if you make them that way). And, perhaps most important, they are specific to the equipping needs of that individual volunteer. But, as the leader, we have to be willing to be intentional about shaping these conversations, and have the courage and confidence to initiate them. It’s great to sit down with an individual or small group of volunteers and talk over coffee (or whatever your choice of location might be). I especially like to meet with new volunteers or newly formed teams. As we know, ministry always happens best in the context of relationships, and this is a great way to add the relational element to the equipping process. A half-page sheet of paper with tips on certain areas are a great way to allow volunteers to equip themselves. Limit the tips to one topic – discipline, for example – and make them visually appealing. Then hand them out randomly or once a month, or to individuals as you see the need (perhaps leading to that hallway moment). A brief conversation can be followed by them reviewing the tips on their own. Follow up later to see what they thought about them and how they are applying them. These can be the formal network that meets in your community or an informal group that you bring together. When we forget about denominational barriers, it’s amazing what we can learn from the church down the street. 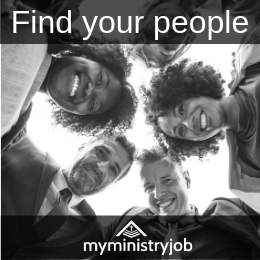 We might even want to find out what they are doing well and invite the one who’s leading that part of their ministry to have a coffee conversation with our team so we can learn from them. There are a ton of blogs, articles and video training resources available if we would just find them and pass them on to our team. Begin with Ministry-To-Children.com for great volunteer resources. One of the best investments you could make is subscribing to HomeFront, Children’s Ministry Magazine and/or K! Magazine for each of your core leaders. Be intentional about training them to find articles that apply to their team and pass them on. Still one of the most effective ways to communicate. With easy templates and sending options through tools like Mailchimp, enewsletters are really easy. Keep them short and focused, and don’t send them too often (once a month is great), but take advantage of this communication method which almost everyone uses. Let’s face it, social media is here to stay. And it can be great for short equipping “thoughts”. Create options for your team to connect with – a Facebook page, Twitter & Instagram can all be used effectively. Integrate them and invite others to participate in contributing ideas and thoughts. While I wouldn’t consider texting “social media”, I would also include it for consideration. Short texts are like Tweets or Instagram posts – great ideas for your team to ponder. 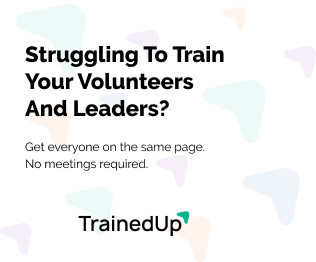 Serious about connecting and equipping your team? Have an app created for your children’s ministry. Seriously…you know your volunteers have smart phones – why not take advantage of it?! Our friends at ROAR can get you started, or just do a Google search – apps are way less expensive than ever, and a very targeted tool for many purposes. What are other methods you use to train your team?